"Croatia the most desirable destination in the world"
Thanks to its ever-present sapphire waters, it’s no wonder so many refer to Croatia as the jewel of the Mediterranean. With its coastline along the Adriatic sea boasting 1,000 islands, this is a must-see cycling destination for travellers who enjoy nature, history, architecture and farm-fresh food. 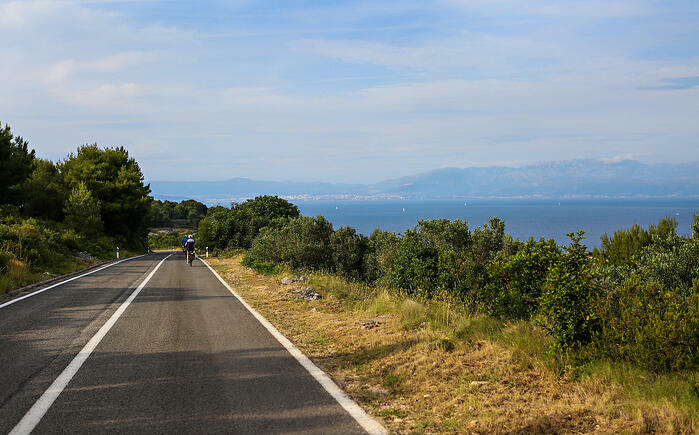 We offer four diverse week-long cycling routes, including the South Dalmatian islands — a favourite of guests keen to explore the country’s hot spots of Split, Hvar and Korčula. Our daily rides, which range from 10 to 60 kilometres, will take you over remarkable islands, through lush forested canyons and along the charming back streets of small towns and villages — all against a dramatic backdrop of the Dinaric Alps. Make sure to bring an extra memory card for your camera: For every challenging climb, there’s a breathtaking vista to capture and savour. 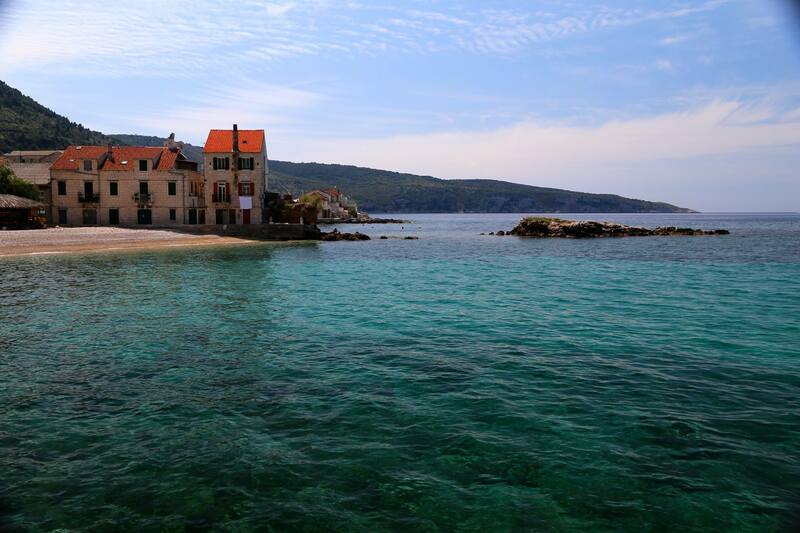 What else can you expect when you cycle Croatia with us? With Pedal and Sea’s bicycling tours, you’ll get the chance to embrace nature. Swim in Croatia’s dazzling waters, bicycle by vineyards and through forests, and explore national parks. You can even go whitewater rafting surrounded by the striking beauty of Cetina canyon. On our trips, you’ll experience the country’s vast history, which has been influenced by the Greek, Roman, Venetian and Austro-Hungarian empires. You will cycle through UNESCO World Heritage sites, take guided tours of medieval walled towns and stroll through the cobblestoned lanes of intimate fishing villages as you get to know the country and its people over the course of your stay. 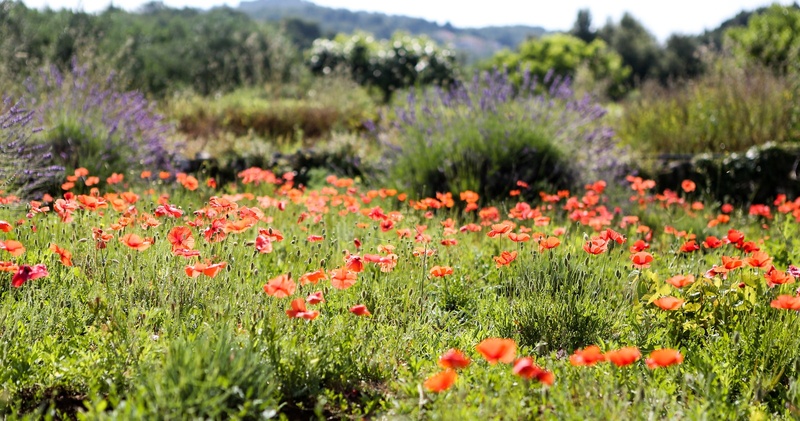 And you’ll indulge in Croatia’s rich agricultural heritage while travelling with us, meeting local farmers and chefs and tasting the country’s finest meat, cheeses, olive oils and wine during meals on and off the boat. With a country this magical, one week won’t feel long enough. 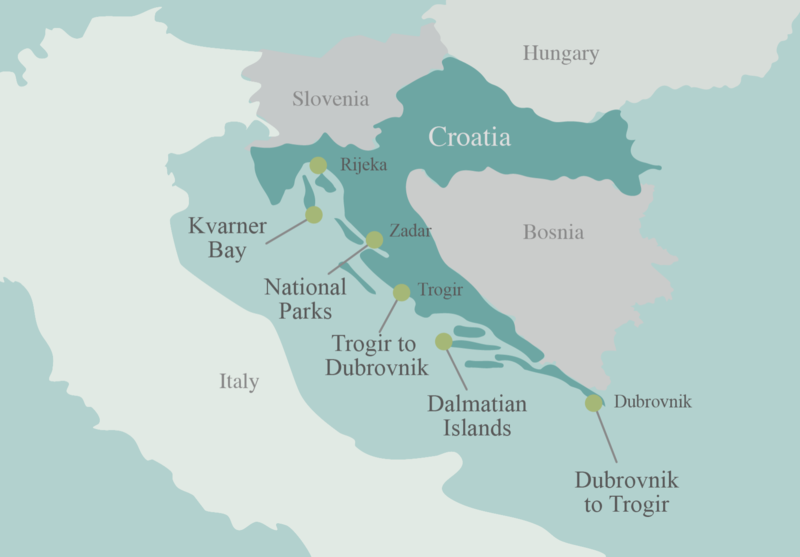 A fabulous introduction to Croatia, this tour, which starts and ends in the UNESCO-recognized town of Trogir, visits the islands of Brač, famous for its limestone, Hvar, the yachting paradise, and Korčula, which claims to be the birth place of Marco Polo. On the mainland, guests will cycle and raft through the Cetina canyon, near Omiš, once a pirate town, and tour Split, Croatia’s second-largest city. Though the vistas will always be worth it, climbs can be challenging at times, and this tour is suitable for those of a moderate fitness level and higher. Electric bicycles are available on request. Read more about this eight-day itinerary here including 2019 scheduled departures and prices. Beginning and ending in two of Croatia’s most charming coastal cities, on this tour we cycle on a diverse range of islands: the olive grove-filled Šolta, sunny, lavender-scented Hvar, Vis, once an important military post, and Lastovo, the country’s smallest inhabited island where fishing and wine-production reign supreme. 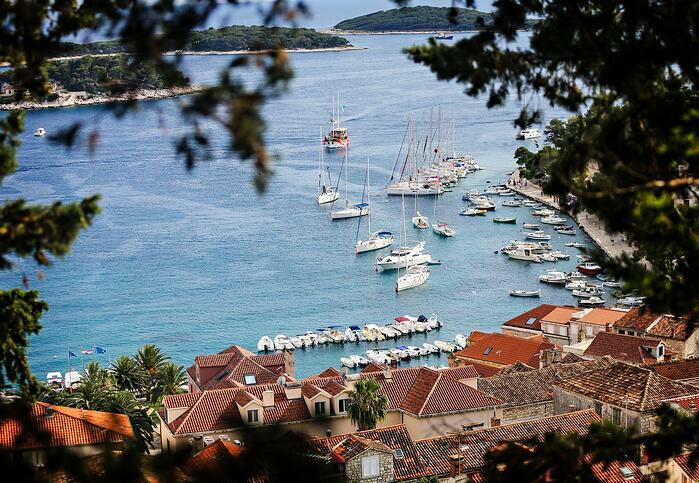 Before arriving in Dubrovnik, we bicycle across the forested island of Mljet. 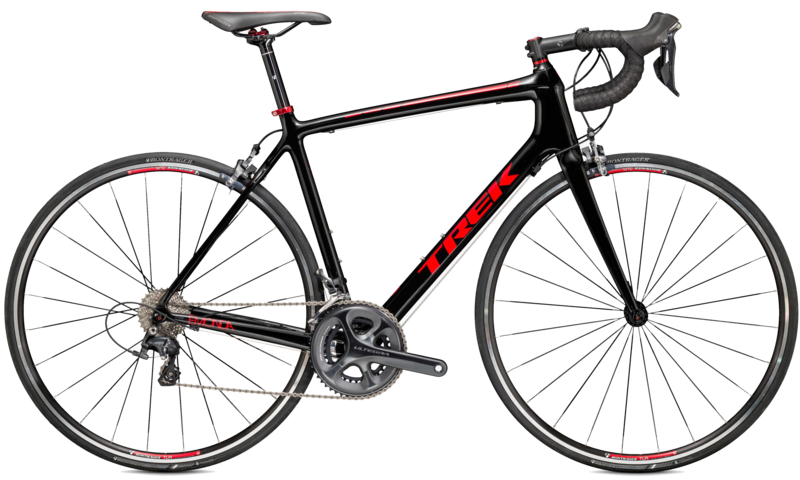 Rides range from 10 to 60 kilometres, some with challenging ascents, so a moderate fitness level is recommended. 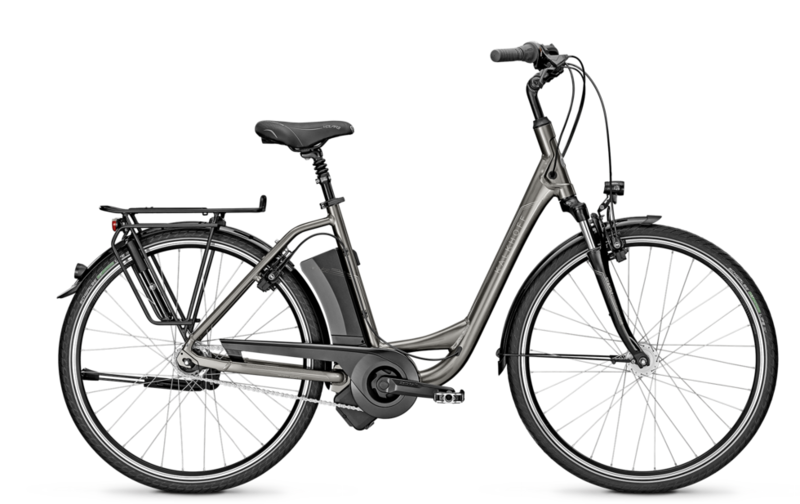 Electric bicycles are available for those who might want a bit of a boost. Read more about this eight-day itinerary here including 2019 scheduled departures and prices. This tour begins in the Pearl of the Adriatic, the southern city of Dubrovnik. On the first day, we explore Dubrovnik’s old town, a UNESCO World Heritage site — Game of Throne fans will recognize its old city walls as King’s Landing. From here we cycle the Pelješac peninsula, home to some of the country’s best wineries, and the stunning islands of Korčula, Hvar and Brač before we head to the mainland and hop from Omiš to Split then Trogir. A moderate fitness level is recommended for this tour; there are some demanding climbs, but each comes with a relaxing downhill ride to match. Electric bicycles are available on request. Read more about this eight-day itinerary here including 2019 scheduled departures and prices. Explore hidden gems in Central Dalmatia on this tour, which starts and ends in Trogir. Along the way to Zadar — a bustling city with stunning public art — and back, we visit the charming towns of Primošten, Rogoznica and Skradin. We spend an afternoon exploring the cascading waterfalls of Krka National Park on foot, and the island-packed Kornati National Park by boat. This relaxing tour is ideal for all fitness levels, and electric bicycles are available to cyclists. Read more about this eight-day itinerary here including 2019 scheduled departures and prices. Are you reading Pedal & Sea's newsletter?